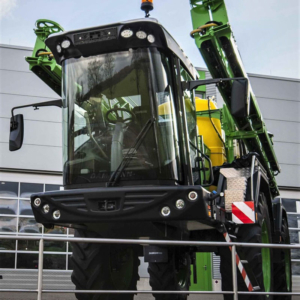 The new cab for the DAMMANN-trac offers a better view of the surroundings of the DAMMANNtrac through larger glass surfaces. In the interior, attention was paid to ergonomic operation of all switches and good visibility of the warning lights. When designing the interior, great care has been taken at the workplace, so that the seat and the adjustable steering column have been ergonomically placed. The joystick and the most important controls are tightly packed and easy to operate for the driver. The positioning of the operating terminal, fitted to the driver‘s seat, for the sprayer is designed in such a way that the driver can easily operate it without any restrictions on the visibility. Also cup holders and storage compartments are easily accessible from the driver’s seat. 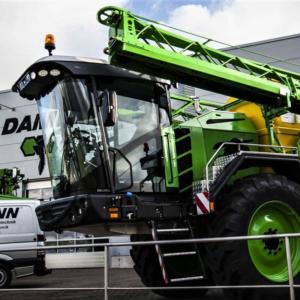 The product range of the Dammann trac’s is supplemented with the economic, quicker and quieter hydrostatic self-propelled DAMMANN-trac DT 2800H EcoDrive™ Special Class. 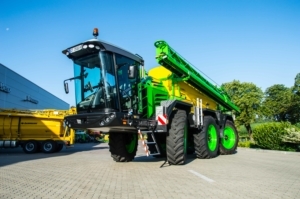 It is equipped with new wheel motors, a hydraulic pump and an innovative intelligent control device for the drive. The control device controls the engine speed of the MTU 6R1000 Diesel engine. This ensures that only the required performance is used for the hydraulic propulsion. Download the DT HYDRO SELFPROPELLED BROCHURE pdf here. Download the D_A_S BROCHURE pdf here. 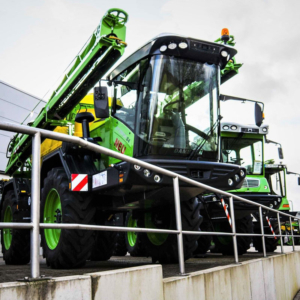 is ideal for working efficiently on large fields. It combines power of 6 hydraulic wheel motors with maneuverability through its two steered axles. The frugal variable, the Highlander which can adapt the track and the ground clearance to the crop. Its standard all-wheel steering also supports the maneuverability of this machine. 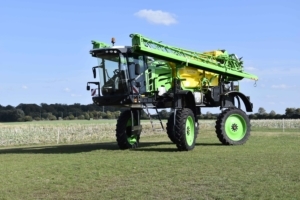 The Highlander was developed in order to be able to carry out crop protection and fertilisation measures in high crop. 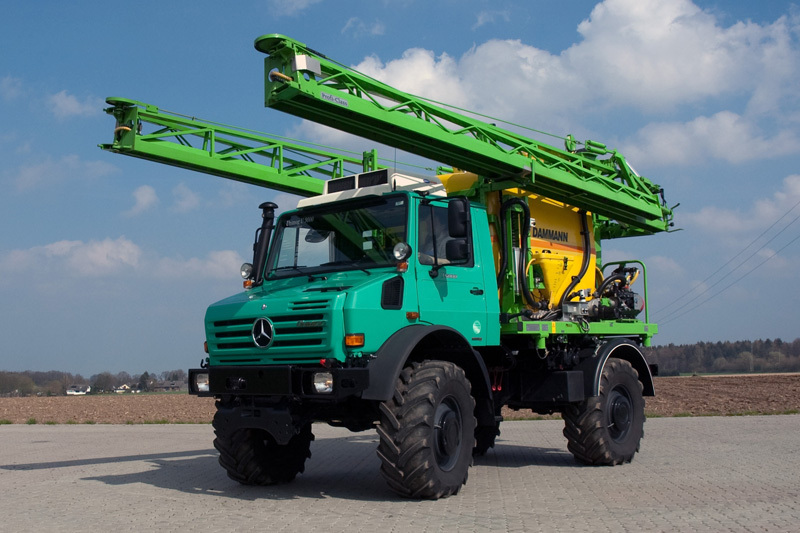 With ground clearance up to 1900 mm, is more than up to this task. Special crops such as corn and sunflowers can be treated right through to the harvest.